(OPride) — On April 2, the ruling Ethiopian Peoples Revolutionary Democratic Front (EPRDF) elected Dr. Abiy Ahmed as its first Oromo Prime Minister. People are still celebrating his ascent and analyzing his inaugural speech. Perhaps, you are wondering what Abiy’s elevation means and why Oromos and other Ethiopians are celebrating. First off, no, it does not mean the Oromo people are free. But, to tell you the truth, it is a bittersweet situation. A moment like this is unknown to our generation and to all the colonized and oppressed people of Ethiopia, including the Oromo, who are too hungry for freedom. Imagine what it feels to see one of your own – the first self-identifying Oromo leader – ascend to the highest office in the land; to observe him address a crowd in Afaan Oromo, a language once thought of as a birds language or that it would break radio; to witness his children wearing Oromo traditional cloth to his inauguration; to see a tradition and culture once thought too primitive to take the center stage. It feels great. I am happy too but with great caution. The reasons for my skepticism are many: For one, the draconian state of emergency is still in full force. Second, thousands still languish in jails, millions are still scattered around the region in refugee camps, and more than a million people are still internally displaced. Nonetheless, we are excited for this fleeting moment; this short second until reality hits us in the head to wakes us up. The reality for Oromos is that nothing has changed. Abiy is still the same man. He is still part of the repressive EPRDF system, which raised him and facilitated his rise to the throne. The same authoritarian system that pushed hundreds of thousands of people into exile and made us stateless over the last quarter of a century. I am sure some of you would say: Let us give him some time. Or that now it is a time for celebration, for healing and a time to look forward and a time to move forward. But allow me to share some thoughts. The truth of the matter is that Abiy represents his party, the Oromo Peoples’ Democratic Organization (OPDO). 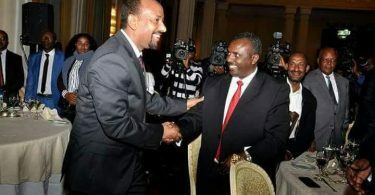 OPDO represents its members in the EPRDF coalition. They were never elected democratically by the Oromo people or to represent the Oromo. Now, the OPDO under President Lamma Magarsa has changed greatly. Team Lemma, including PM Abiy, deserves our respect for their leadership, bravery and political skills. They saved a party on the brink of irrelevance. While Team Lemma’s maneuver to get Abiy elected is remarkable, their true accomplishments are yet to be seen. Abiy and his colleagues have no time to celebrate. His skeptics and adversaries are too many and too great. He faces serious challenges both within the Oromo and OPDO, as well as outside of his immediate constituency, particularly from the Tigrayan People’s Liberation Front (TPLF) establishment. On the one hand, the Oromo youth seem ready to embrace him. But they want to see real change and they want to see it now. They have sacrificed so much and buried too many of their peers. Another year, another term may not cut it. They expect the premier to hit the ground running. They expect him to lift the emergency decree immediately; to make sure genuine self-rule for Oromia state; to release of all political prisoners; to return of IDPs to their lands and rehabilitate them; to engage with the opposition and chart an all-inclusive path forward. In addition to pressures from Qeerroo, OPDO faces an internal conflict where some of its members continue to undermine Team Lemma in partnership with the TPLF oligarchy. A divided house can hardly sustain itself let alone accomplish much that is of value. OPDO must clean its houses fast to make sure that ongoing reforms can trickle down to the local level. Abiy faces so much expectation and a great responsibility within a very limited time but, he is not a magician. He can’t change a 28-year-old system overnight. Nevertheless, every step he takes will matter for his party, for his people, for EPRDF and for the country as a whole. Now more than ever, he cannot become complacent. Both Abiy and his party must understand, they cannot deliver anything meaningful if the old system remains intact. The old guard cares more about EPRDF’s legacy and organizational culture than the country’s future. Abiy may have saved the OPDOs from exiting EPRDF but he should not let the party undermine him as they did with his predecessor, Hailemariam Desalegn. The OPDO knows that the current system exists only if they are in it. TPLF knows that too but it largely gave into OPDO’s demands with the hope of placing their trustees in positions of power, making it impossible for Abiy to implement his vision. He must stay vigilant, guard against TPLF’s factionalism and cronyism. Meanwhile, Lemma should be given the space to finish and consolidate the reforms now underway in Oromia. He stepped aside and nominated Abiy for the premiership arguing that he needed more time to build a strong Oromia. He is right. True change lies in Oromia whether that is political freedom or economic empowerment. It is also here we must focus our attention. 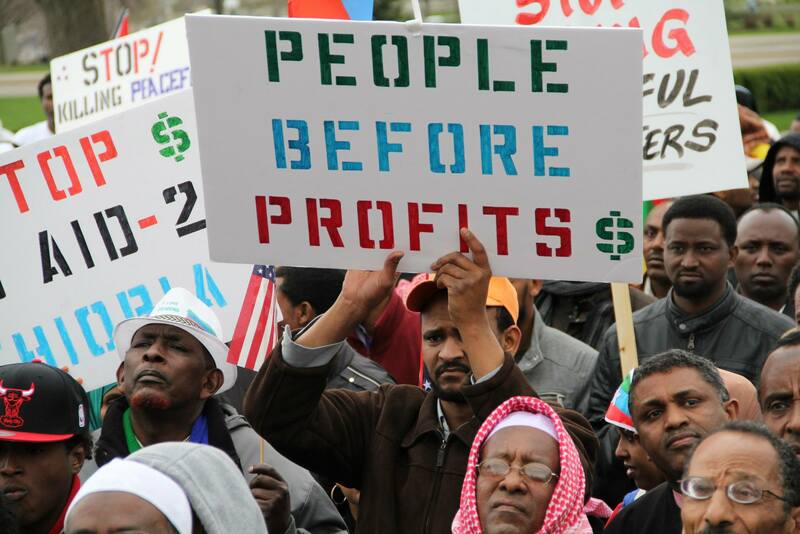 The Oromo diaspora played a crucial role in amplifying the protest movement. At least indirectly, diaspora activism also helped the OPDO gain confidence and start listening to the grievances of the protesters. Even with its ups and downs, the diaspora’s contribution to the struggle cannot be discounted. As a diaspora myself, I understand and appreciate the constant balancing we have to achieve between work, family and other challenges. However, I often wonder about the real impact of social media activism; how many of those who are active on Facebook or Twitter actually do anything more than their updates and LIVE videos. Ask yourself this question: Out of all your Facebook friends, how many will take a day off to attend a solidarity protest or to lobby elected officials? How many attend community meetings regularly? How many of them join or support civic and community organizations? Too often we see the same faces at various Oromo events while we claim to exist in the thousands. Social media is one of the most powerful tools of the 21st century and a gift to many grassroots movements. It gives everyone equal access and the same possibilities. We are all entitled to our opinions without accountability. We can write and say whatever we want without worrying about facts or whether it is hurtful to others. I am not trying to minimize the power or importance of social media. Over the last four years, the Oromo struggle moved along at a faster pace in part because of social media. It is a great tool. But no freedom has been realized only through social media activism. The closest we have seen is in Egypt, but look where Egypt is today. So, this means that we must continue to press on but also dig deeper and seek out alternative forms of advocacy. The passage on April 10 of House Resolution 128 is a good example of what community organizing and social media activism can do when deployed concurrently. 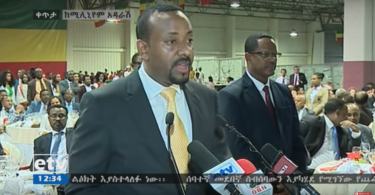 The diaspora’s continued advocacy for freedom, human rights and inclusive governance in Ethiopia remains as critical as it was before Abiy’s election. It is my hope that the new PM sees H. Res. 128 as a useful platform that advances human rights in Ethiopia. This strong gesture from U.S. Congress is an opportunity that needs to be grasped — not to be fight against. It is good for the prime minister if he wants to build a democratic and fair nation. However, if he chooses to fight against this resolution as the previous administration did, it will be an sign that he is not committed to genuine democratic reform. Only an authoritarian regime will fight against a measure that calls for respect of human rights. Status quo is no longer acceptable, especially among the Oromo who have paid huge sacrifice under a century old oppression. The Oromo will no longer accept or tolerate anything less that it deserves. We want, and we need a government for the people by the people. This brings me to my last point. Who keeps Abiy and the OPDO accountable? It is safe to assume that if EPRDF reverts back to its old ways and fails to deliver, Qeerroo will return to the streets once more. That raises this other question: how long would Qeerroo and the Oromo people continue with nonviolent struggle? The pain and suffering have reached all Oromo households. People’s patience has been tested at every turn. The economy is not getting better. The youth don’t have jobs. Those who are employed are often underpaid and lack avenues for advancement. More important, continued repression has backed people to a corner. If history shows us anything, the next stage of the struggle will be different. It will require a different kind of response from all of us. It is now more than ever that we need sustainable organizations in and outside of the country. Both at home and abroad, power belongs to the organized. Where do you fit? I dare you to ask yourself. I dare you to join and support a Oromo organization whether that is a political party or a civic or community group. We can’t afford to always react to events. We must start being proactive and planning for the future and for all scenarios. 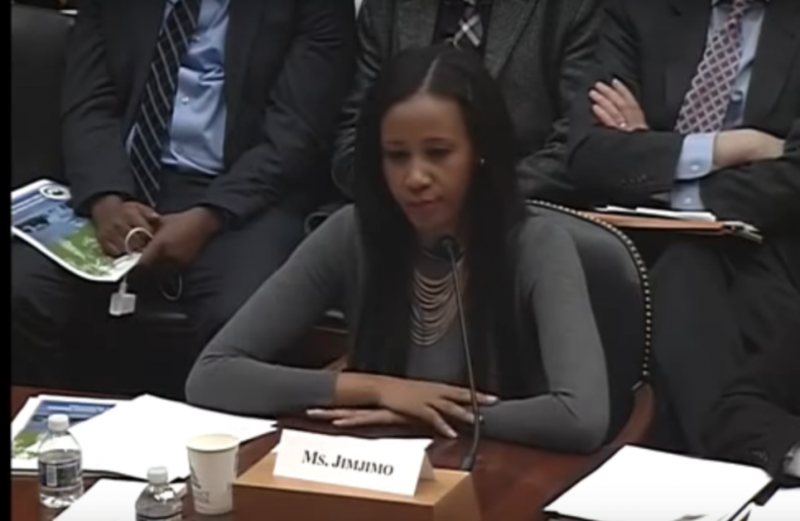 Seenaa Jimjimo is the president of Coalition of Oromo advocates for human rights and democracy. I feel there is something important missing here. Yes there are and still is injustice against Oromo and other minority group in Ethiopian history. Yes, TPLF uses divid and rule Ethiopia by any means. However, it was the TPLf who made the oromos awake. Unlike the previous Ethiopian regimes, who have ruled Ethiopia for centuries, its the EPDF rules that form the current Federation system that opened the minds and eyes of Oromos and other mistreated group to woke up and express your voices.Previous Ethiopian rulers have never practices rules of law let allow allowing democracy to flourish. It is morning time in Ethiopia today. Never will old dead power and rules allowed back In Ethiopia. I feel there is something important missing here. Yes there are and still injustice against Oromo and other minority group in Ethiopian. Yes, TPLF uses divid and rule in Ethiopia by any means. However, it was the TPLf who made the oromos awaken. The TPLF leadership has advanced Ethnicity, tribalism and division above principles and ideology. It has jeopardized the national unity of Ethiopia by advancing divisive ethnic politics. The core of the TPLF cadres genuinely believed (and still believe) that having an Ethiopian identity is the acceptance of the “Amhara or Oromo cultural and political dominance”. They failed to realize that the Ethiopian identity is formed by a collective contribution of all its citizens. The patriots who fought and died for the love of the country were Ethiopians of all ethnicity- the Amharas or Oromos contributions for the independence and territorial integrity of Ethiopia by no means greater than the rest of ethiopian ethnicities. And in my view, this was the greatest fallacy- and misguided and utterly wrong narrative that still lingers amongst most of the TPLF members. And its precisely for these reasons, TPLF still wants to clinging to power and don’t want to let go of their autocratic and unitary party dominance. But the time has come, and the new generation Ethiopians are ready to move forward and build the “new Ethiopia”. The youth is ready to build a New and Democratic Ethiopia where idea and principles reign above petty politics, ethnicity and tribalism not only in Ethiopia but across the rest of Africa.